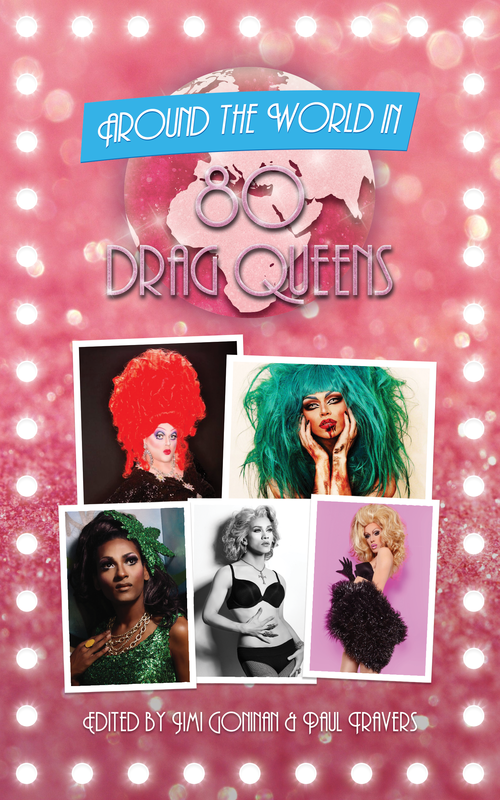 Jeza Belle is proud to announce she is featured in the new book “Around the World in 80 Drag Queens” by Jimi Goninan & Paul Travers along with 79 of the most amazingly talented drag queens she greatly admires! Jeza is also thrilled to have been chosen for the cover of this fun book! Around the World in 80 Drag Queens scrapes away the glittery veneer of such dazzling divas as Alaska Thunderfuck 5000, Willem Belli, Jeza Belle and Peaches Christ, and delves into the fascinating depths of character behind the painted faces and elaborate ensembles; what does it take, what does it mean and is there a price to be paid? All these questions and more are answered right here, right now!